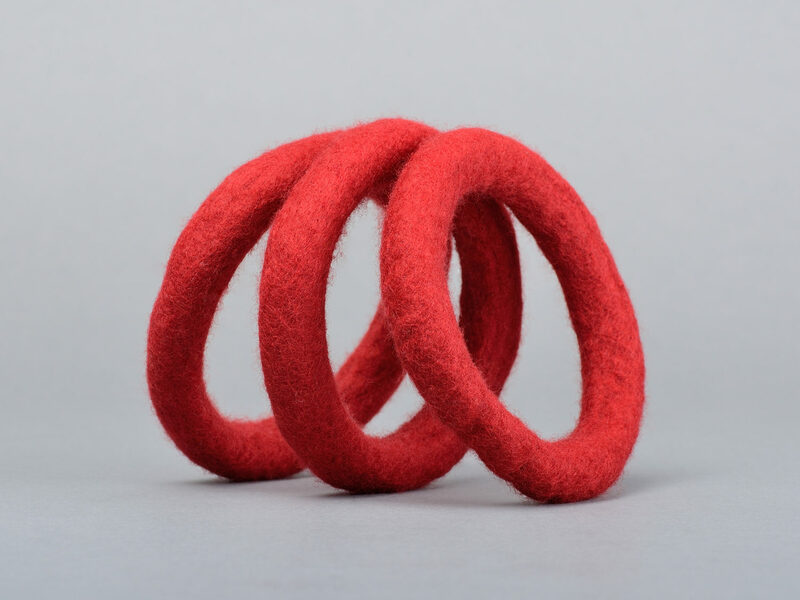 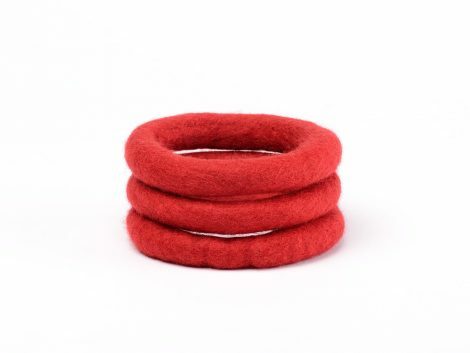 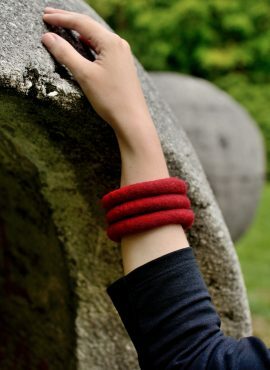 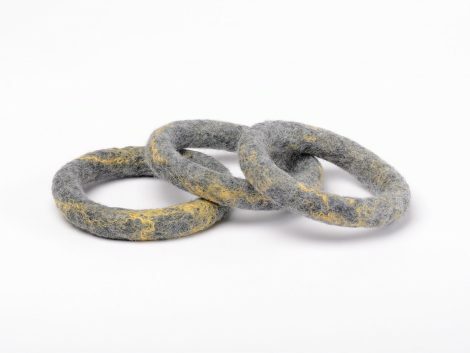 These felt bangles have ethnic style and consist of three fiber o-rings. 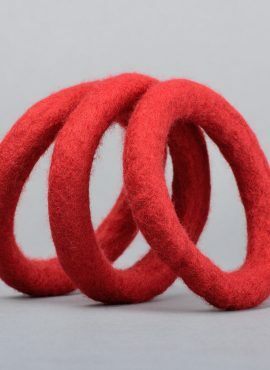 They are hand felted to order of fine merino wool and I will decorate them with nice silk fibers upon request. 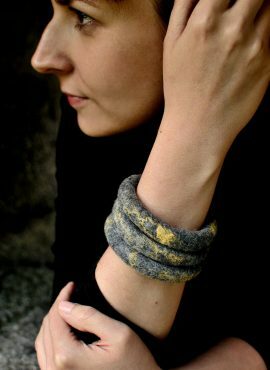 Natural materials make this hand jewelry eco, skin-friendly and nice in touch, whereas its tribal design makes it perfect for women, who love African influence in fashion. 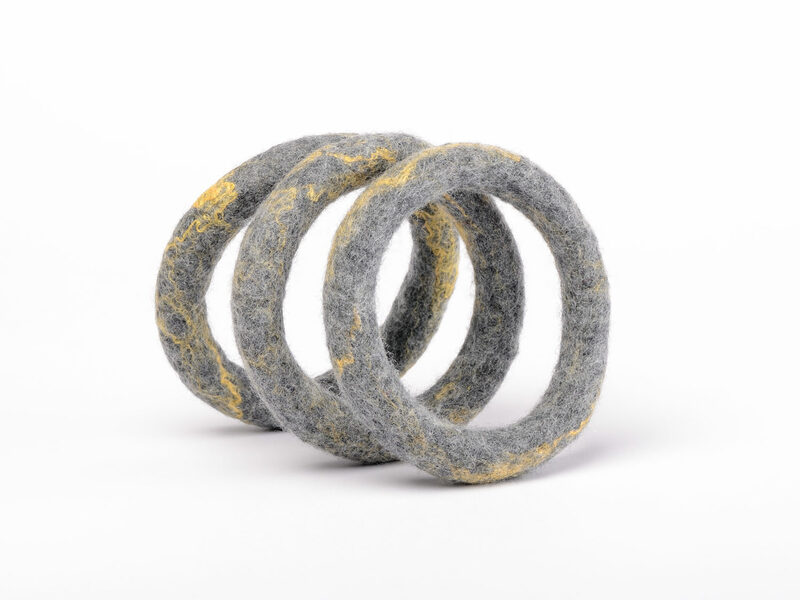 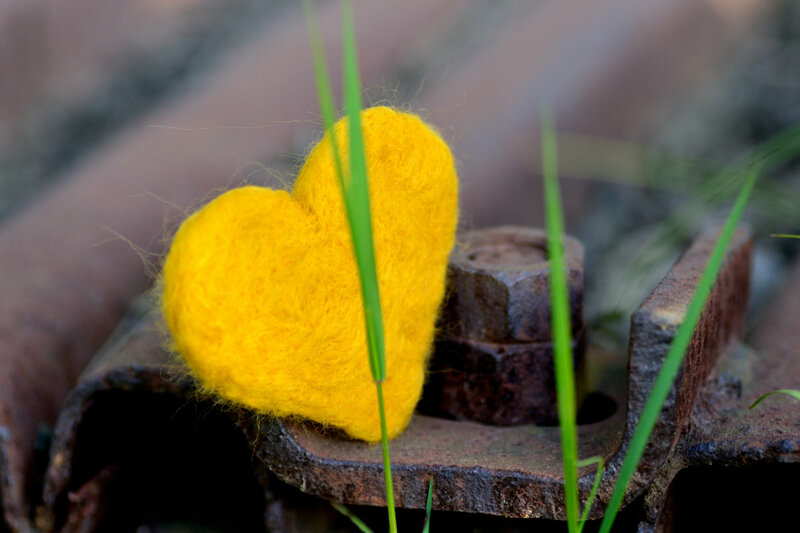 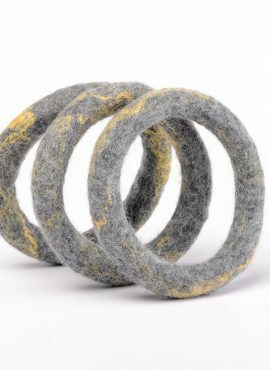 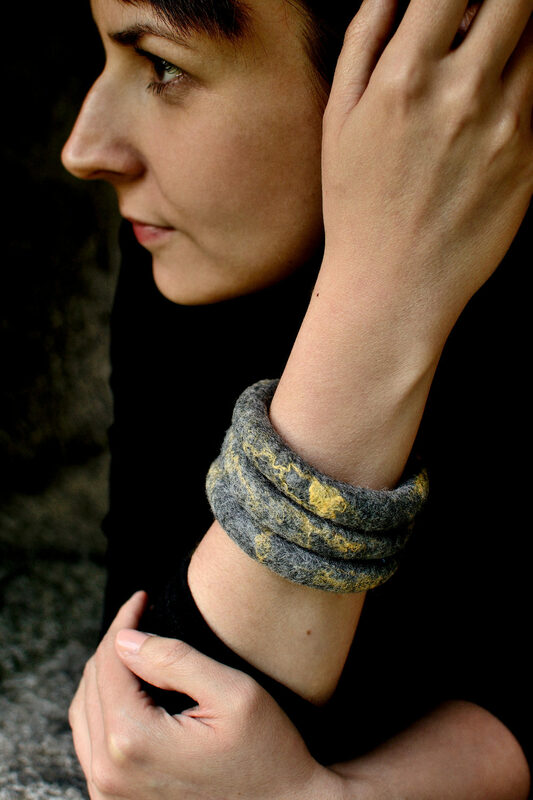 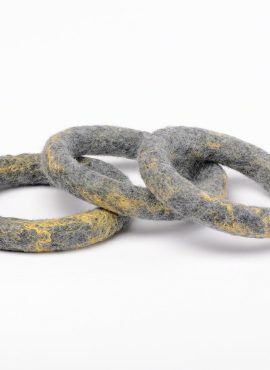 This felted bangle bracelet is fully customizable. 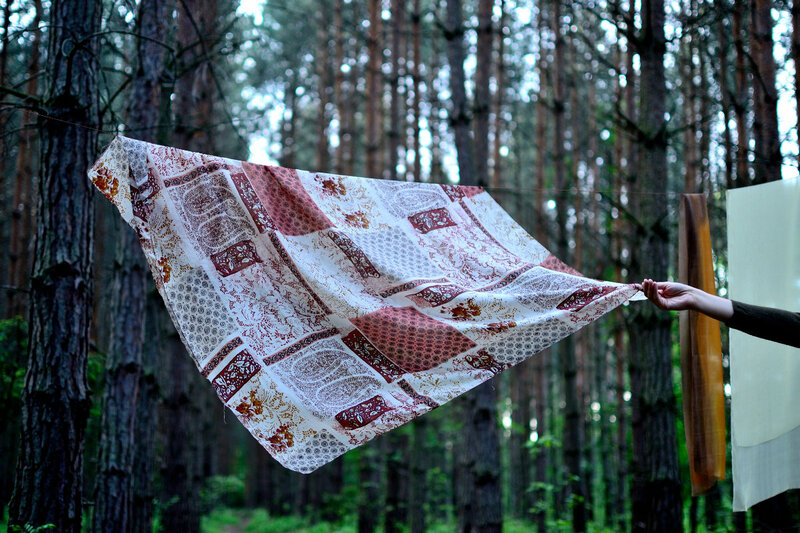 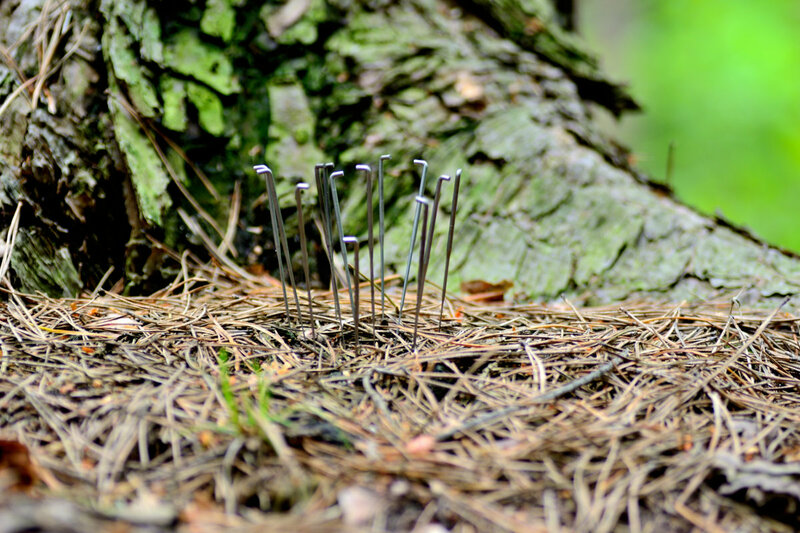 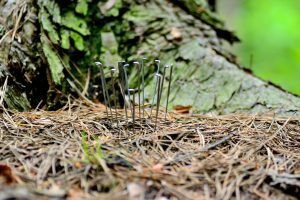 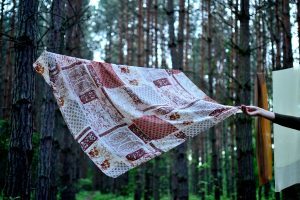 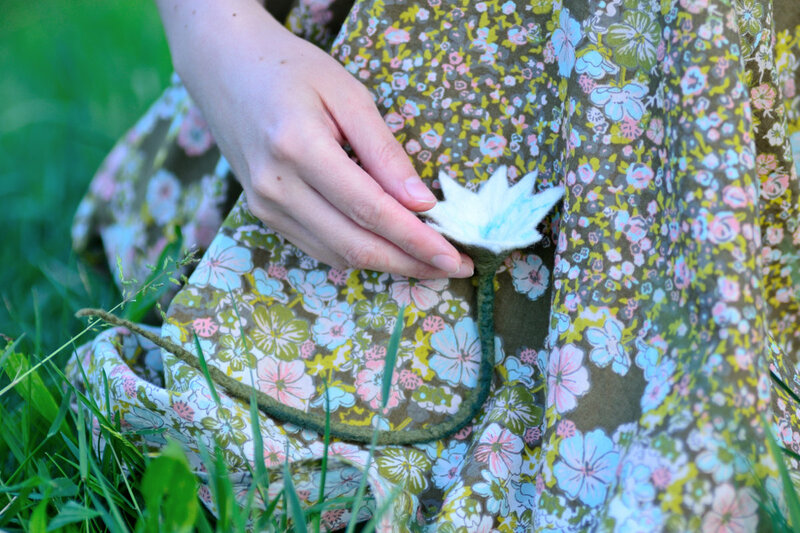 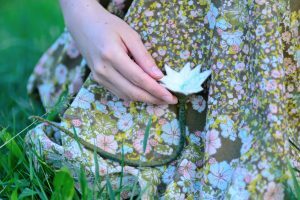 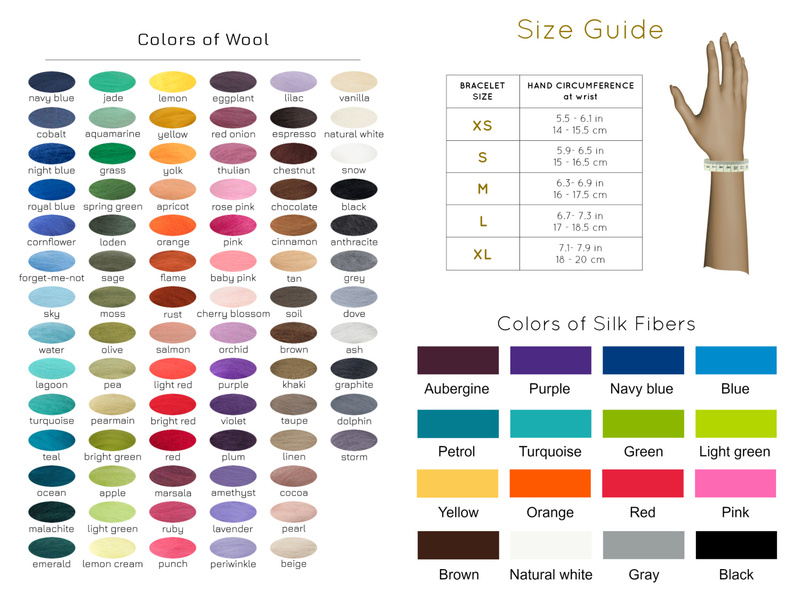 You can choose its size, pick its color and decide, if you want it to be decorated with silk. Look at the pictures and decide, what is best for you. 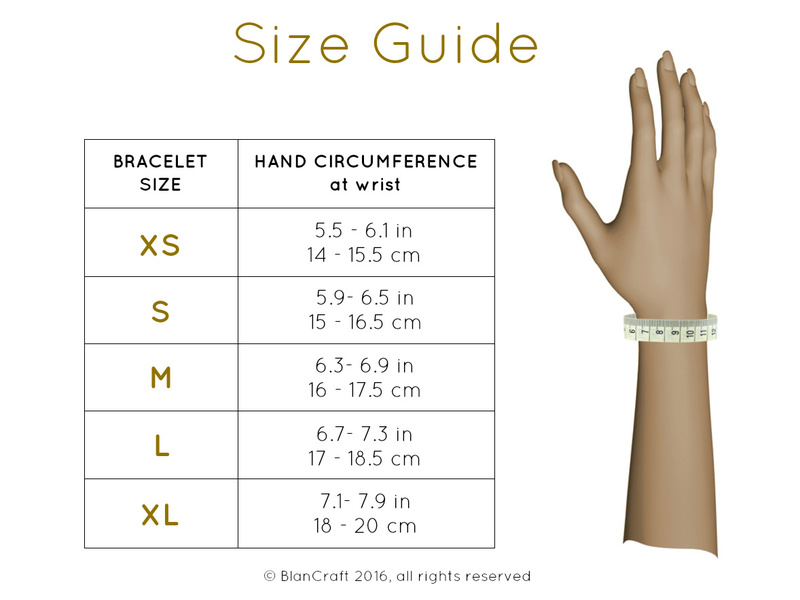 To order, select your size on a drop-down list. 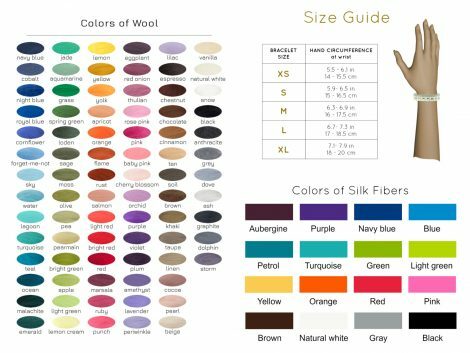 Then choose one color for wool and one color for silk fibers (optional). 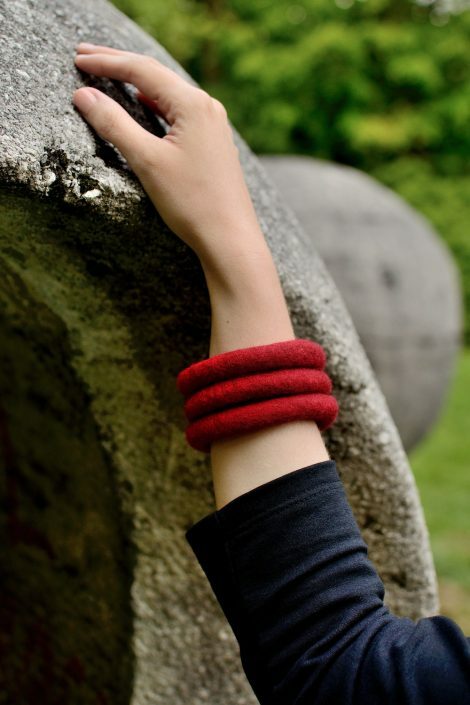 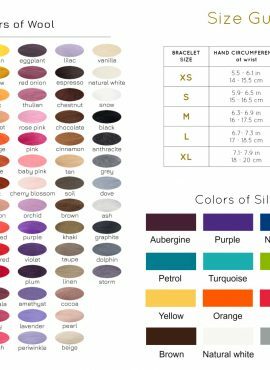 Enjoy designing your own bracelet! 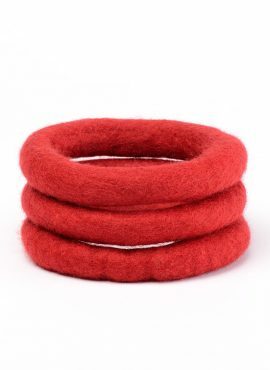 I will felt it for you and ship as soon as possible.